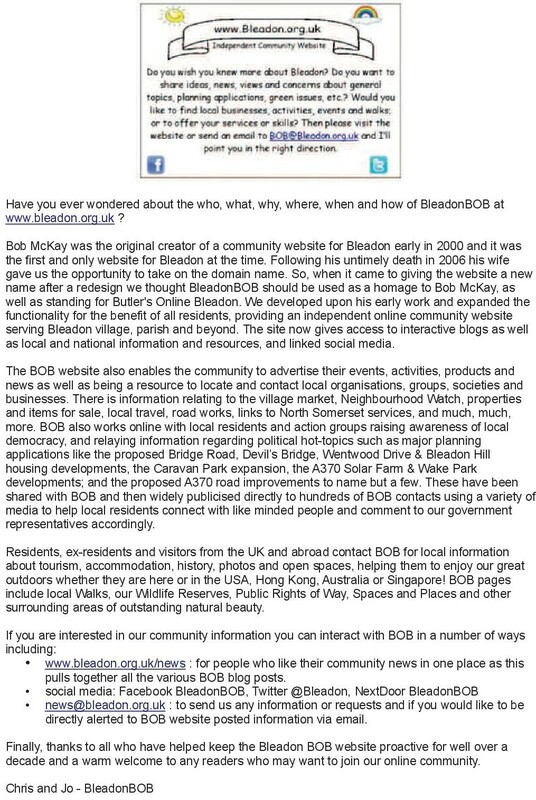 BOB(or Butler's Online Bleadon) is an independent online community resource serving Bleadon Village and beyond as a website portal to local information and resources. You can email us by clicking on the picture below and/or via the contact details page. 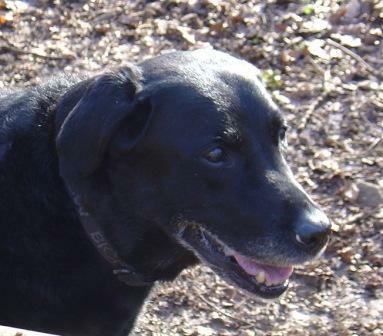 The Black Labrador you will see in pictures on this site is "Spaner", unfortunately she died in November 2008 after a battle with Cancer. Spaner loved the walks through our countryside (especially the woods and water) in and around Bleadon and also enjoyed visiting the local refreshment houses! She is missed greatly by her family but lives on in that she led us to meet so many of the residents of our beautiful village and it is with this spirit that this site was designed and continues to develop. If you would also like to know a little more of Bob’s work with Guide Dogs click here. Would you like to advertise your organisation or business on this site? Please contact us for a 'e-chat' or conversation to discuss your specific needs, we can offer a basic listing and advert or custom made webpage or website, all at very reasonable rates. This site is developed and maintained locally. 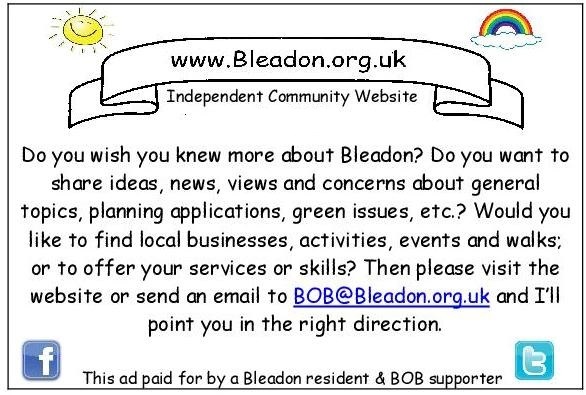 Please email or phone us with your suggestions for additional content or to update existing information. If you can't already find the information you are looking for just let us know and we will endeavour to do so as soon as possible. If you like this website and want to help us with our running costs then we will gladly accept donations.